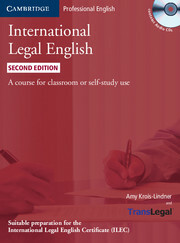 International Legal English Second edition teaches learners how to use English in a commercial law environment and is suitable for classroom use or self-study. This second edition has fully-updated content - including twice the number of authentic case studies compared to the first edition - and contains a new unit on Transnational Commercial Law. 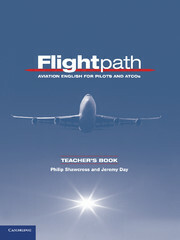 An updated pull-out glossary is included in the Student's Book. International Legal English Second edition is ideal preparation for the Cambridge International Legal English Certificate (ILEC) and contains exam practice tasks, exam tips and a practice ILEC test.